The SmarterLife Products® Smartlite Ultra LED Headlamp is an essential accessory for outdoor enthusiasts – runners, cyclists, hikers, campers, and photographers – anyone who enjoys the outdoors after the sun has set. And due to its 1.5-ounce weight and compact form factor, it is also the perfect tool for indoor and home use – reading, crafts & hobbies, DIY home repairs, walking the dog, shoveling snow and taking out the garbage. The SmarterLife Products® SmartLite Ultra LED Headlamp is the result of hours of research into this deceptively simple piece of lighting equipment. 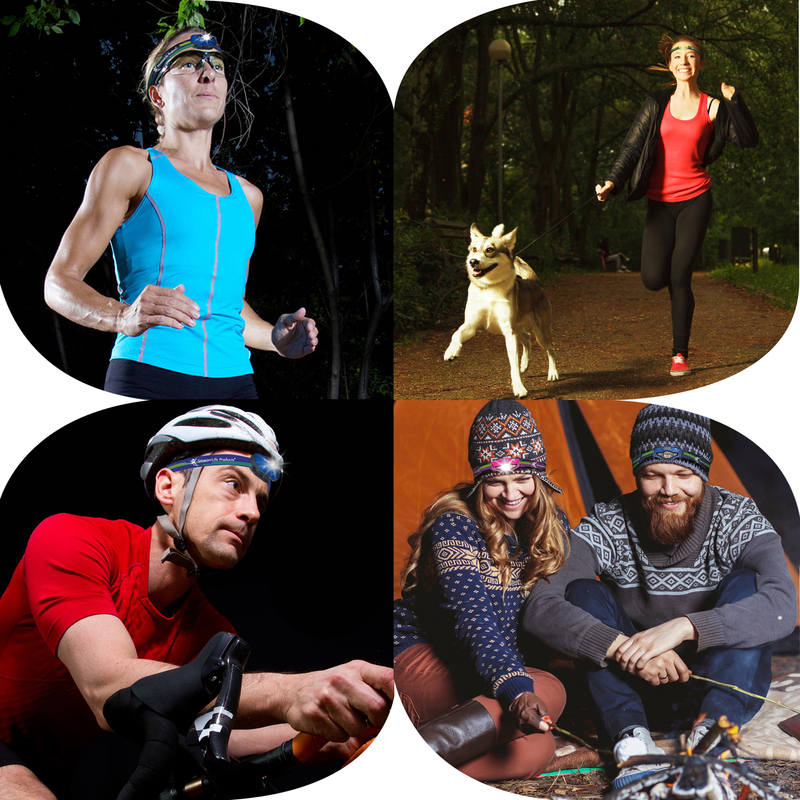 As outdoor enthusiasts, we wanted a headlamp that was the very bright one you forgot you were wearing. 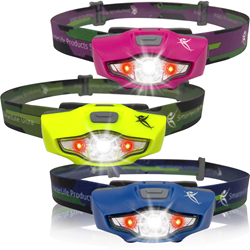 SmarterLife Products® LLC has announced the market introduction of its newest product, the SmarterLife Products® Smartlite Ultra LED Headlamp, which is now available for sale on Amazon.com. The SmarterLife Products® Smartlite Ultra LED Headlamp is an essential accessory for outdoor enthusiasts – runners, cyclists, hikers, campers, and photographers – anyone who enjoys the outdoors after the sun has set. It features 4 white light modes – high, medium, low and strobe – and 2 red light modes – solid and SOS – all operated by a single, easy-to-operate button… even with gloves on. Powered by a single AA alkaline battery, carrying a spare battery is a snap. And due to its 1.5-ounce weight and compact form factor, it is also the perfect tool for indoor use – reading, crafts & hobbies, and do-it-yourself home repairs. Now taking the dog for a walk, taking out the garbage cans, or shoveling snow at night is safe and practical during the evening hours. It is so small that it fits easily in a nightstand in case of a power outage or other middle of the night emergency. Store one in your car’s glove box for emergencies while traveling. The SmarterLife Products® SmartLite Ultra LED Headlamp is now available for purchase on Amazon.com and the company's eCommerce store. 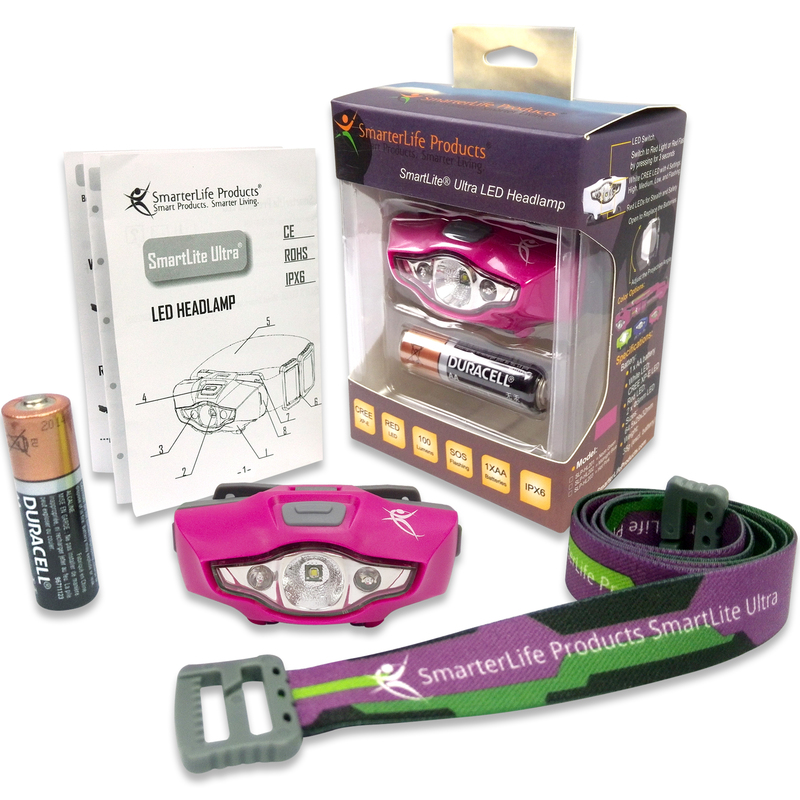 Included in the box is the SmarterLife Products® SmartLite Ultra Headlamp, the patent-pending Comfort-Stretch headband, 1 Duracell AA battery, an easy-to-follow instruction booklet, and a bonus eBook “Tips for Running at Night”. It is available in 3 colors -- Midnight Blue, Neon Green, and Hot Pink. Based in Steamboat Springs, CO, SmarterLife Products® sources or creates the very best eco-friendly fitness & health, travel, and lifestyle products for people who want to live smarter. The company was started when co-founders Jan & Tim DePuy realized that it was hard to find purposefully-made items that were good for people and good for the environment. While available in the marketplace, no one had brought them together into one place, which was the impetus for the creation of the company.